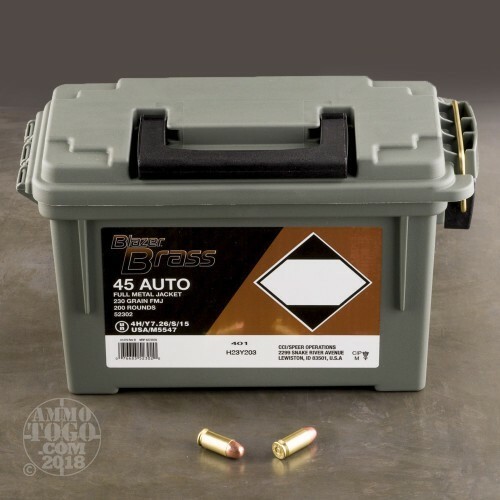 As if Blazer Brass wasn't already great enough with superb reliability and affordable cost, now you can get it shipped with a convenient plastic ammo can for easy transport and safe storage! Blazer Brass is a sister brand to CCI and Speer and shares in the same quality components including non-corrosive Boxer primers, reloadable brass casings, and precisely crafted full metal jacket (FMJ) projectiles for accurate range work. 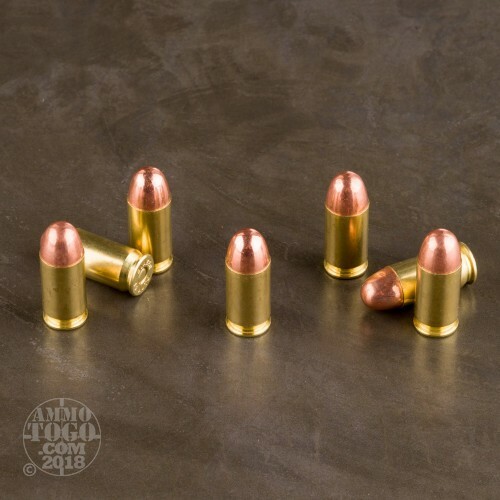 This load uses a 230 grain FMJ bullet for commonality with the majority of .45 ACP choices alongside smooth recoil and cycling from most handguns. 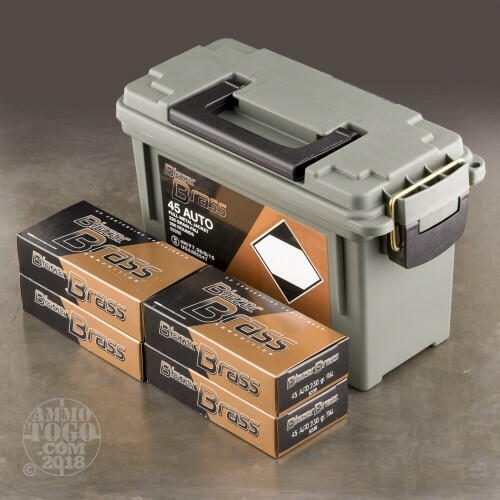 The ammo can that houses this 200 round package is made by Plano who are longtime engineers of weapon cases and tackle boxes. This container features means for a padlock, a rubber gasket for moisture protection, and a convenient folding carry handle. The brass locking bail prevents inadvertent spills while the general shape of the container allows for stacking without fear of tipping over. 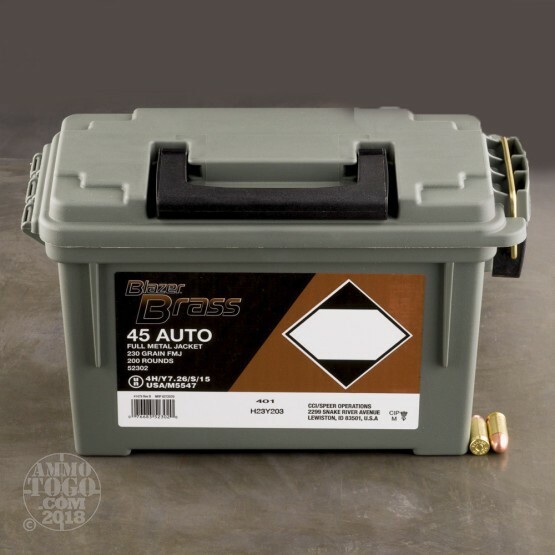 Plastic ammunition cans are lighter than traditional steel ones, impervious to rust, and can be used to house whatever you like long after the ammo is gone.